It’s a no-brainer. Usually the right thing to do is the mature thing to do. That’s what over 32 states happen to agree on. Legislation is being passed throughout the country which is rewarding senior drivers for their time and experience behind the wheel with a fabulous car insurance discount – some for up to 15% off for three consecutive years! 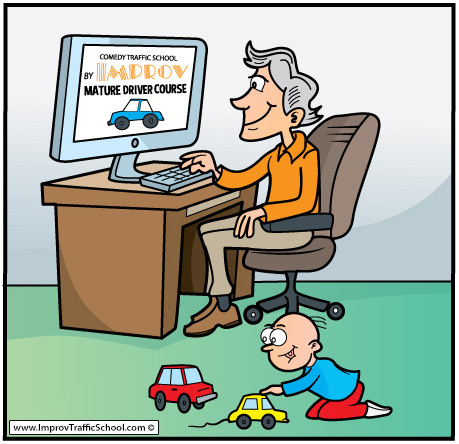 Depending on the specific state, recipients of these benefits usually have to be 55 years older and must complete an approved mature driver course. The course is very reminiscent of driving school classes taught back in the day… but without the chalkboard and movie projector. The programs are only 4 to 5 hours long and are as easy as pie! One company, Comedy Traffic School by IMPROV is standing out among the others by offering mature courses with colorful, comedy-themed material and humor-filled videos. The course is very easy to read and engages those new to the online atmosphere. The school has already received 5-Star Excellent awards for their Defensive Driving Courses and Teen Driver Ed Programs for Florida, California, Texas, New York, Arizona and many other states. The company has discovered a niche that combines innovative driving courses with world class customer service. The mature driver course has welcomed a newer, sophisticated group of individuals to the company, as well as enlisting a return of happy customers from the past. 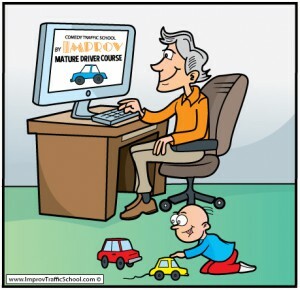 Prior to signing up for a mature driver course, individuals should check with their state’s department of motor vehicles and their auto insurer to be sure the class is approved.